James Taylor tonite on the Ariston’s stage as super guest star of the Festival di Sanremo. The performance will be the starting point of his come back to Italy for a three dates tour in July. The american singer-songwriter, six Grammys, 100 millions album sold and with his own place in the Rock and Roll Hall of Fame as well as in the Songwriters Hall of Fame, will be in Italy in summer 2018 to perform in three wonderful locations: Piazza Napoleone at Lucca Summer Festival, Terme di Caracalla in Rome and at the Anfiteatro located in the Scavi Romani in Pompei. On the same stage, for a double bill, his very friend Bonnie Raitt in tour to promote her last album Dig In Deep. Summing up, more than 30 completed projects by the two. There sould be enough material to set up a rich live gig! 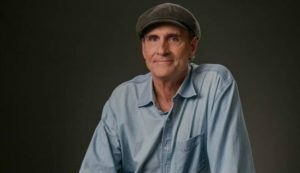 James Taylor will play his best hits as well as the songs from Before This World, the 2015 album published 13 years after the previous one.